Spring exploded in May, with wildflowers and garden flowers blooming everywhere. We got in two hikes, the nice and easy Silver Falls, and the very difficult Dog Mountain. 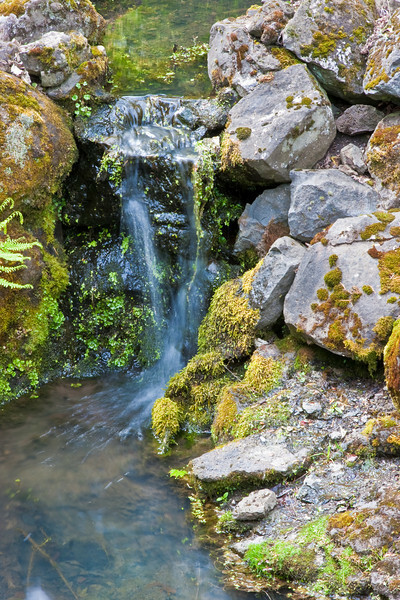 A tiny waterfall at the Elk Rock Garden at Bishop's Close in Portland.